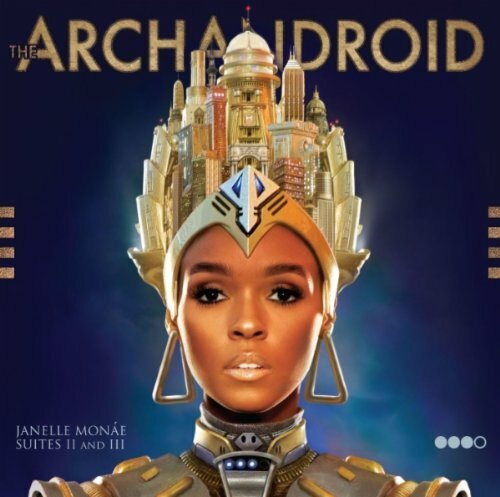 I'm a little nuts about Janelle Monae's album, The ArchAndroid, which I am listening to on repeat today. I know I'm probably so, so late to the party on this, but that Janelle is five-feet of Pure Awesome. Check out live performance of Tightrope if you can't take my word for it. Of course I heard about her first from my sister Martine, another five-foot force of nature, who always has whatever's hot in her tiny mitts. What I'm so crazy about, honestly, is how the album defies genre-ification. I'm listening and thinking about Nina Hagen, Petula Clark, Prince, David Bowie, sometimes Beatles, Parliament, James Brown. There are gorgeous vocals, strings, noodly guitar solos, the funkiest horn section in Metropolis. There are rhythms that go straight inside me, into junior-high-party-me who can't stay off the dance floor, has to wiggle and jump. The record's huge. It’s ridiculous. It has so much that I love, in a combination that delights me. It has EVERYTHING. And of course, as with everything that I'm nuts about, it circles inevitably back to yoga. This may seem particularly ridiculous when discussing a gigantic pop album, I am aware, but that's exactly why it feels so spot-on for me. Something I've been thinking about so much with yoga lately has been how it really facilitates a deep looking at who we really, truly are, at ALL that we are. And what we are without exception is glorious, miraculous, amazing, inspiring, jump-around fabulous! In the weeklong immersion with John in February, I was so struck by one central message: that our task is to be fully ourselves, in every capacity, in all our glory 100%, no holding back, all the time. Unfold, expand, grow, shine out with everything you've got. Don't save your awesome for some other time. Give it up Right Now. 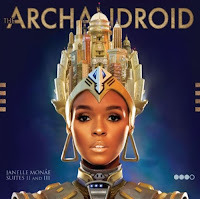 ArchAndroid works for me on the most basic pop music level, emphatically yes, but it also -- with its crazy bigness -- creates a soundtrack for what I really want my life to be and where I’m taking it this year: huge, ridiculous, dance-able, funny, awesome, EVERYTHING. All of what I love, all the time. So I’ve got Ms. Monae on repeat today, Snoopy-dancing through this silly work-day, til the moment I can go home and tend the bees with Joe, then rock on into the evening’s dinner at Tartine. Making every moment count, every moment big and delicious no matter where I am.